Asinganians, let’s give thanks to God and celebrate the year of the wooden horse on FEBRUARY 1, 2014. SATURDAY. 8am. Municipal Hall grounds. Let’s dance with the beat of the dragon and lion group performance! Come with your most colorful red attire! Special thanks to the filipino-chinese community of Asingan.See you there! 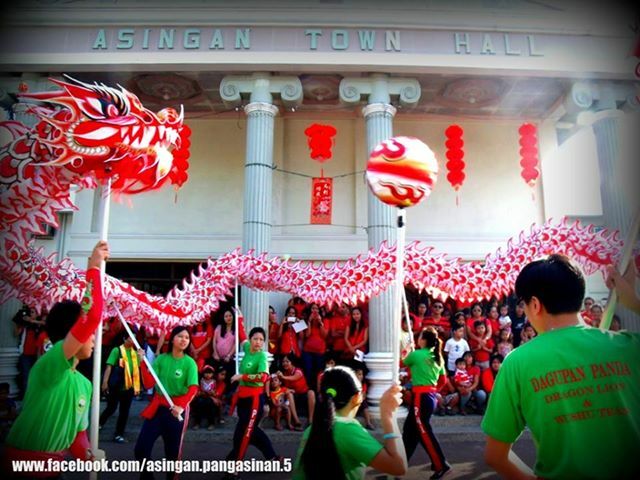 Happy calls of Kung Hei Fat Choi rang out in the Municipal Hall yesterday as hundreds of Asinganian gathered to welcome in the Chinese New Year. The traditional Chinese New Year greeting was on everyone’s lips as they celebrated the Year of the Horse. 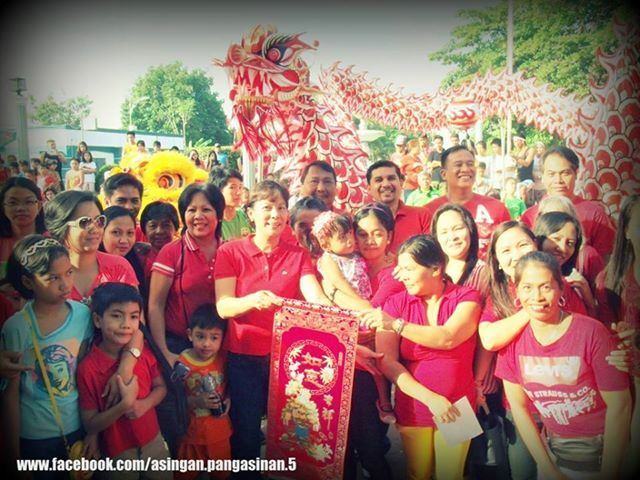 Special thanks to the Filipino-Chinese community of Asingan. Special thanks to Dir. Peter Chua, Mr. & Mrs Mario Yapjoco, Dir. Roselle Chan, Engr. Jun Cruz, Engr. & Mrs. Ben Chan, Mrs. Jenny Vidal, Coun. & Mrs. Alain Chua Sindayen, Engr. Ruther Agpaoa at sa lahat ng nakisaya. 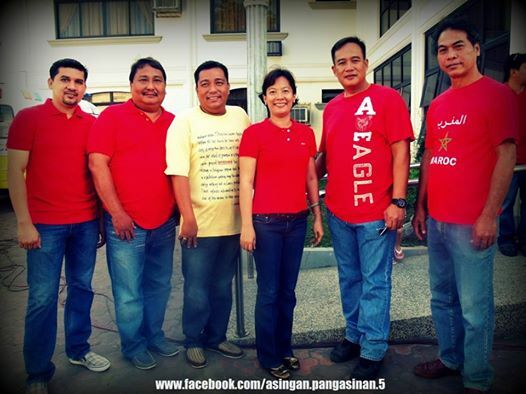 Red kung red at dilaw kung dilaw…. Councilor Mark Antonio Eden Abella, CouncilorAlain Chua Sindayen, Vice Mayor Carlos Lopez Jr, Mayor Heidee Chua, ABC President PB Palaris & Councilor Darly John Apuyod.